Periodically, I look at the state of the value-priced domestic Pinot Noirs on the shelves at local supermarkets. It is standard practice today for these stores to offer a 30% discount on a six bottle mix or match purchases. The selection of Pinot Noir wines lining the shelves at chain supermarkets is practically identical since shelf space is controlled through distribution dominance by the largest wine companies or “big-volume brands” such as E. & J. Gallo Winery, The Wine Group, and Constellation Brands who produce wine under multiple labels. These three producers account for more than 60% of all wine shipped in California. Jackson Family Wine Estates has a lesser, but still prominent presence with their Byron, Cambria, Carmel Road, Kendall-Jackson and La Crema brands of Pinot Noir. There are usually only a few Pinot Noir wines offered from boutique domestic producers and then only the winery’s entry-level wines. 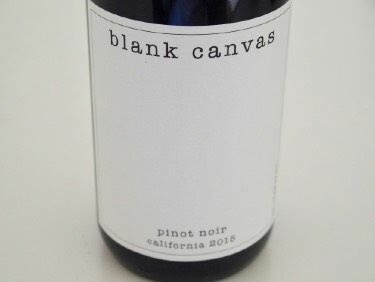 In addition, there are many labels that give only the vaguest idea of who produced the wine. When the back label says, “Produced and bottled by,” by law, 75% or more of the wine in the bottle must be made (fermented) by the producer listed on the label at the stated address. But as the case in many of these inexpensive wines, the back label may say, “Vinted and bottled by,” in which case the winery on the label may have had very little to do with making the wine at the stated address, or “Cellared by,” in which case the wine was only aged or cellared by the depicted winery before bottling. In essence, in many cases, the consumer is prevented from knowing what region(s) the grapes came from or who made the wine and are only given the name of the “phantom winery” that may have sourced bulk or declassified wine from any number of producers and slapped a label on it. 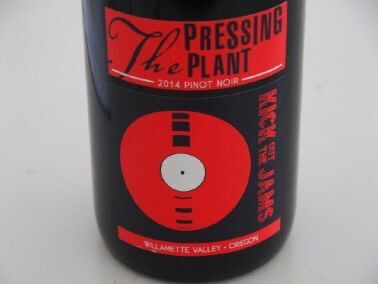 The consumer also has no way of knowing whether the “Pinot Noir” is made from 100% Pinot Noir grapes. The result can often be a disappointing reflection of what Pinot Noir can be. Winemaker Ted Lemon of LIttorai once commented in his newsletter that after tasting a number of inexpensive American Pinot Noirs, “They were large in scale and alcohol, with rough tannins and dark, extracted flavors….the aromas dominated by various shades of oak….essentially they tasted as if they were the winemaker’s rejects from reserve barrels driven by the media’s insatiable appetite for Pinot on steroids.” There are also a number of inexpensive Pinot Noir wines that are very shallow and boring often made up with oak to cover deficiencies. The old saw holds true: you get what you pay for in Pinot Noir. Here are a few wines I plucked off the supermarket second and third shelves (the most expensive Pinot Noirs are on the top shelf). The prices are full retail prices so figure a 30% discount when buying six wines mix or match. The Oregon Pinot Noir wines seem to perform better than California wines at these under $20 price points. 2016 Cloudline Willamette Valley Pinot Noir $14.99. Reviewed in the previous issue. Bottled by Cloudline Cellars, Dundee, OR (a Drouhin family label). Excellent Pinot character at this price point. 89. 2016 Underwood Oregon Pinot Noir $13.99. Reviewed in the previous issue. Vinted and bottled by Union Wine Co. McMinnville, OR. An easy sipper with balanced oak. 87.